*50 Cent recently gave mad props to actor Samuel L. Jackson, despite his avid criticism of rappers becoming or at least pretending to become actors. 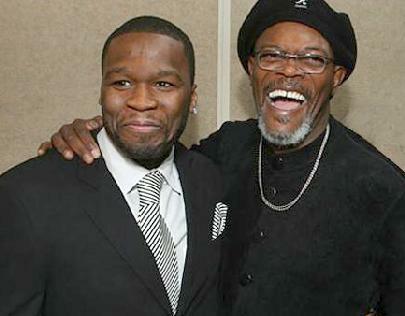 But Samuel L. also praised Curtis Jackson, known as 50, for his excellent acting abilities. In an interview with Vibe, the Hip Hop mogul expressed his understanding about his mentor’s hesitation with rappers. He brought it all together by agreeing with the veteran actor, explaining that if a rapper hasn’t been through the trenches and paid his dues by getting trained, he too would pass on an offer to act alongside another rapper. “But Samuel L. also praised Curtis Jackson, known as 50, for his excellent acting abilities.”…….really? excellent though? WOW!